The L298 Compact Motor Driver is an electronic kit used to control a pair of DC motors. 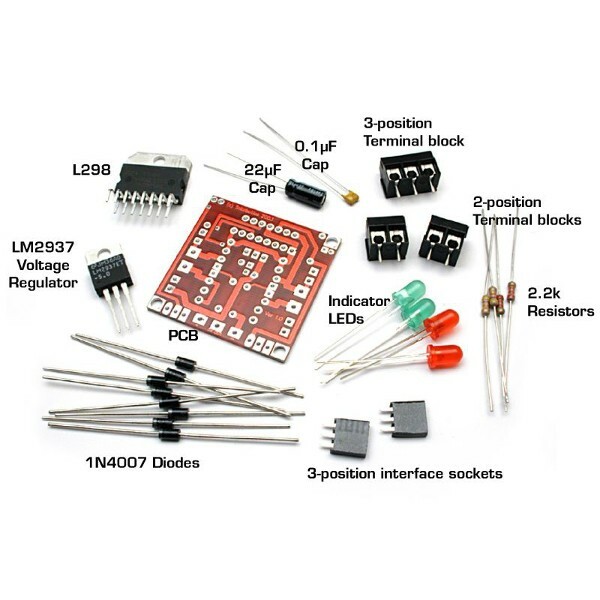 This kit features a popular L298 motor driver IC Integrated Circuit chip. It supports two motors with an operating voltage from 6 to 50V at up to 2A per channel. 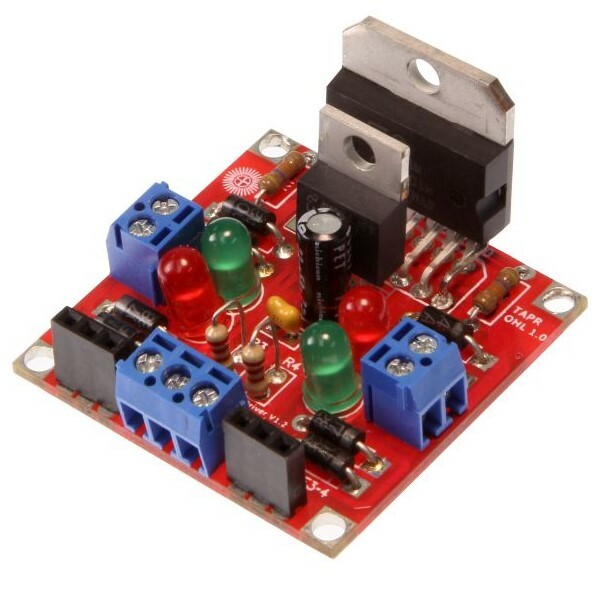 It has an onboard 5V low dropout voltage regulator for the logic supply with screw terminals for the power input. Each motor driver channel has Schottky diodes for EMF- protection and screw terminals for DC motor connections. Standard female headers provide easy access the L298 motor driver logic controls. The circuit board measures only 4cm square and includes 4 mounting holes. The L298 Compact Motor Driver is an electronic kit that requires basic electronic assembly and soldering skills.